What Happens to a HELOC in Bankruptcy? 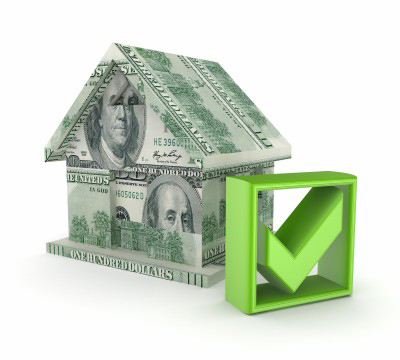 A Home Equity Line of Credit is a secured loan that acts like an unsecured credit card. Many people took out these “second mortgages” on their homes as a way to convert the home equity into cash while staying in the residence. What happens to your HELOC mainly depends on the Chapter you file. In a Chapter 7, the discharge order extinguishes your liability on the note, but the lien against the property stays in place. In other words, you have no personal liability to repay the debt, but the bank can foreclose on your house for defaulting on the note once the automatic stay expires. Strip-off may be an option in the Middle District of Florida: if there is not enough value in the home to secure the second lien, the court may remove both the lien and your personal liability in some cases. 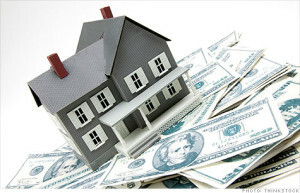 Realistically speaking, foreclosure is unlikely for a junior mortgage, such as a HELOC. The proceeds from the sale go to pay the first mortgage, and then if there is anything left, a junior mortgage is paid. There is usually nothing left, especially if you have little equity or even negative equity in the home. This situation reinforces the idea that Chapter 7 is an excellent option for homeowners who are either current on their mortgages or do not wish to remain in their homes. 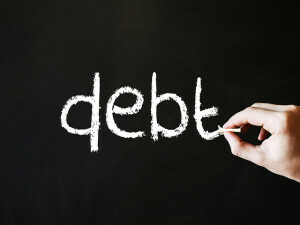 Like most other debts, a HELOC can be included in your repayment plan. For example, if you are $1,800 behind on your payments and your repayment plan is 36 months, you could expect to pay about $50 per month towards the HELOC. If the line of credit was a junior lien and was entirely unsecured, you may be able to strip off the loan, just as in a Chapter 7. The creditor must accept your repayment plan, assuming that the judge approves it. Furthermore, because of the automatic stay, the moneylender cannot foreclose on the lien or make any contact with you regarding the past-due amount through the entire repayment period, without getting special permission from the court. Contact us for a free consultation with attorneys who can help you get back in control. This entry was posted in Bankruptcy, Chapter 13, Chapter 7 and tagged Chapter 13 Bankruptcy, Chapter 7 Bankruptcy, HELOC on May 27, 2014 by Michael Faro. 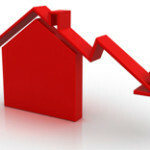 According to a published report, the number of delinquent mortgages decreased by 16% between February and March 2014 to reach their lowest level since October 2007. In a related report, Black Knight Financial claims that only 10 percent of homeowners are underwater on their loans, as compared with 34 percent in 2010. The financial analysts also noted other positive statistics in the mortgage foreclosure area: the percentage of delinquent loans and properties in foreclosure both dropped significantly. The reports also noted that the negative-equity rate in judicial states (including Florida) was nearly twice as high as the rate in non-judicial states. The negative equity numbers may at least partially explain why foreclosures are still so high in Florida, bucking the national trend. If buyers are not building equity, it is very easy to lose the motivation to pay for a month or two. Most banks stop accepting partial payments when the loan payments become delinquent, and almost before you know it, the delinquency begins to build up to the point where repayment becomes almost impossible. Another reason may be the lengthy foreclosure process. With an average of 1,095 days (nearly three years), only Hawaii and Arkansas drag the process out longer than the Sunshine State. So while delinquency rates may indeed be levelling off, it will not be until 2017 that Floridians begin to see a difference. The banks like a long process, because it means the homeowners accumulate more delinquency and find it nearly impossible to reinstate the loan. While a mortgage modification may actually increase your payments (because the bank rolls the delinquency back into the unpaid principle balance), Chapter 13 Bankruptcy lets you spread out the amount due over either 36 or 60 months. For a free consultation with attorneys who can help fight foreclosure in state court or bankruptcy court, contact our office in Melbourne, Florida. This entry was posted in Chapter 13, Foreclosure and tagged Chapter 13 Bankruptcy, Mortgage foreclosure on May 21, 2014 by Michael Faro. General Motors is trying to use its Chapter 11 Bankruptcy as a shield against liability lawsuits stemming from faulty ignition switches. The automaker claims that it emerged from bankruptcy as “the new GM” and as a different corporate entity. 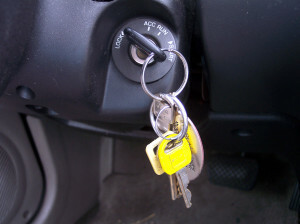 According to a court filing in New York, the new GM’s recall of the ignition switches does not serve as a basis for a lawsuit against the “old GM.” Its lawyers asked the Bankruptcy Court to bar any liability lawsuits from incidents that occurred prior to 2009. In their response, the negligence plaintiffs stated that the government would have never agreed to the bailout and bankruptcy if it had known about the products liability lawsuits. One of the main purposes of bankruptcy law is to give debtors, corporate or individual, a fresh start. A debt that has been discharged is no longer owed. The problem in the GM context is that the debts have to be listed and the creditors notified so they can assert their rights. Where claims are uncertain and unknown, debtors often attempt to claim that the publicity of the bankruptcy, or a notice in a newspaper, serve as notice to the unknown creditors. In the context of a corporation reorganizing under Chapter 11 like GM, it is even more complex, because the GM that emerged from bankruptcy was not the same GM that filed bankruptcy. That may sound like legal mumbo-jumbo, but ask anyone who owned shares in the old GM and they will confirm the old GM, and their shares in it, are worthless. The name “GM” was simply one of many assets purchased by the new GM. 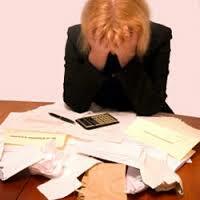 In the individual debtor’s situation the issues are not so complex. First, it is relatively rare that an individual is unaware of potential claims. If you are filing a petition for bankruptcy, and you think your former business partner may sue you, you list him as a disputed creditor and he gets actual notice. He will then have an opportunity to file a claim if appropriate, examine you and your petition, and object to you discharging your debt (to him or all debt). That is not an unknown claim. If you have listed all known claims (disputed or not), it is very unlikely you will ever have a challenge like the one GM faces. The Bankruptcy Code is designed to give debtors a fresh start. For most debtors, as long as you are honest and complete in your petition and schedules you will get the fresh start the Code promises, so that you can move forward with life again. For a free consultation with attorneys who can help you get your fresh start, contact our office in Melbourne, Florida. This entry was posted in Bankruptcy, Chapter 11 and tagged automatic stay, Chapter 11 bankruptcy, Chapter 13 Bankruptcy on May 13, 2014 by Michael Faro. Bankruptcy hurts your credit score. Your credit score is how lender’s determine whether you are going to be a good customer or not, and bankruptcy means many of your creditors did not get what you agreed to pay them. 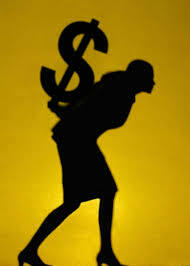 Many people believe that they are not allowed to borrow money for a certain period of time after they file bankruptcy. You are not allowed to borrow money while you are in Chapter 13, Chapter 12, or Chapter 11 without permission (sometimes from the Court, sometimes from the Trustee). After your bankruptcy is closed (or with the required permission) you are allowed to borrow. However, lenders are not required to lend to you. Some will, but you will pay a premium for being high risk in the form of higher interest rates, and the amount they will be willing to lend to you will be less. Unfortunately, while you just got out of debilitating debt, the only way to rebuild credit is to borrow money, and pay it back. For some people, that may mean a credit card that either requires a security deposit or just has a very low credit limit. Charge something every month, pay off the bill in full every month and your credit score goes up every month. It does seem to be true (the formulas for determining credit scores are closely guarded secrets) that paying in full doesn’t boost your credit as much as paying most of your balance does. That makes sense because the score is supposed to tell lenders whether you are a good customer, and they make more money if you maintain a balance (as long as you don’t default). Even though your credit will rise more slowly, the difference is not worth the interest you will pay, let alone the risk that you will get back into a situation where your debt load is more than you can handle. Other people count on staying current on their secured debts, such as a house or car. If buying a new car is a priority, there are some important things to remember. First, stay away from huge dealers. A small or mid-sized dealer is probably more willing to work with people with lower credit scores. Second, lower your expectations. You don’t have to buy the cheapest car on the lot, but you probably won’t qualify for the nicest one, and you don’t need it. Remember, you want to own a car, not be owned by a car. When I see people lease cars they could not afford to buy or finance them and trade them in as soon they have enough equity to make a down payment on a new car with the highest payment they can qualify for, I know their quality of life suffers, their stress level is through the roof, and they are likely candidates for a future bankruptcy. It’s better to own a modest car outright than to rent a luxury car, and if you are leasing or financing without equity, you are renting. Third, be upfront with the lender. Before the salesperson runs your credit report, tell him or her that you filed bankruptcy (they will find out anyway, and if they ask directly and you deny it you are committing fraud). If you can provide a reasonable explanation for why you filed (such as unemployment) and offer a convincing reason why your financial circumstances have changed (you’re working now), lenders are much more understanding. You also should wait until after the 341. If you filed Chapter 7, you may need to wait until the discharge. That’s only an extra few months anyway. If you filed Chapter 13, you may need the trustee’s permission to acquire new debt. Make sure the payment fits comfortably inside your current budget. If you cannot afford to pay your ongoing expenses AND put away some money for a rainy day, it does not fit within your budget. If you are trying to rebuild your credit, savings is crucial. If you do not have savings, any gains you make in rebuilding your credit are a broken transmission, layoff, or illness away from being undone. For a free consultation with attorneys who can help you get a fresh start, contact our office in Melbourne, Florida. This entry was posted in Bankruptcy, Consumer Lending and tagged Chapter 13 Bankruptcy, Chapter 7 Bankruptcy, Credit score on May 2, 2014 by Michael Faro. Even in Dundee, Scotland, people turn to bankruptcy for a financial fresh start. Scottish debtors have the option of liquidation or a repayment trust, the equivalent of a Chapter 7 and Chapter 13 bankruptcy. As of April 2014 78 people, including noted soccer player Craig Beattie, have declared bankruptcy in Dundee. The debtors cover a wide range: some are young and some are old, some owe only a few thousand dollars while one claimed debts of $1.1 million. Yvonne MacDermid, of Money Advice Scotland, stated that many people in debt suffer from mental health problems. It is a commonly-held myth that most people file bankruptcy because they are poor money managers. While that is certainly a factor in a number of filings, money management is nowhere near the top of the list. Most people file bankruptcy due to circumstances that are totally beyond their control. Medical bills: Nearly sixty million people struggle with medical bills. Even for those with insurance, may plans have very high deductibles. In addition, 25 million people are skipping doses of prescription medication for financial reasons. Job loss: Unemployment is still extremely high; many people have been unemployed so long that they have exhausted their unemployment benefits and/or given up trying to find a job. Injury: If you are hurt and unable to work, your disability income may not be enough to pay the bills. Death in the family: If a loved one suddenly dies, the funeral costs coupled with the loss of income can be truly overwhelming. For a free consultation with attorneys who understand that, for the most part, bankruptcy is not your fault, contact our office. If you are interested in learning more using credit cards after filing bankruptcy, contact Faro Crowder, PA to schedule an appointment. We are located in Melbourne, Florida on Sarno Road and serve residents and businesses of the Space Coast and Brevard County. This entry was posted in Bankruptcy, Debt and tagged bankruptcy, Chapter 13 Bankruptcy, Chapter 7 Bankruptcy, Craig Beattie, Dundee, Yvonne MacDermid on April 29, 2014 by Michael Faro. 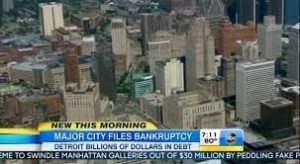 In April 2014, Detroit’s emergency manager stated that he hoped the city would emerge from bankruptcy later this year. In July 2013, the City of Detroit filed for bankruptcy protection under Chapter 9; it was the largest such filing in the country’s history. Although emergency manager Kevin Orr had hoped that the process would wrap up quickly, the case has dragged on amid numerous objections from creditors. Mr. Orr hopes that the case will be over by October 15. That date is just a few weeks after Mr. Orr’s 18-month term is set to expire. 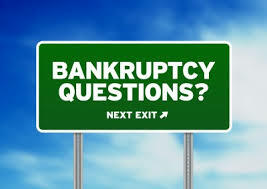 A personal bankruptcy under Chapter 7 does not take nearly as long as a much larger Chapter 9 or Chapter 11 proceeding. The debts involved are usually not nearly as complicated, there are few if any third parties interested in the process and the amount involved is minuscule compared to a municipal or business bankruptcy. In fact, the vast majority of debtors never have to go to court at all. In a Chapter 7, there is a meeting with the bankruptcy trustee about four to six weeks after the petition is filed. The trustee’s main job is to examine the paperwork and ensure that there are no red flags. About four to six months later, most or all of your unsecured debts will be discharged. In a Chapter 13, the trustee examines your petition and ensures your debt repayment plan disposable income is paid to the Trustee to distribute to your creditors for either three or five years. At the end of that time, any remaining unsecured debts are discharged. Contact us for a free consultation with attorneys who understand the entire bankruptcy process. This entry was posted in Bankruptcy, Chapter 13, Chapter 7 and tagged Chapter 13 Bankruptcy, Chapter 7 Bankruptcy, Detroit bankruptcy, Kevin Orr on April 26, 2014 by Michael Faro. In April 2014, a lawsuit was unsealed that accuses OneWest Bank, formerly known as IndyMac Bancorp, of abusing the 2009 Home Affordable Modification Program (U.S. ex rel Fisher v. OneWest Bank FSB, U.S. District Court, Southern District of New York, No. 12-09352). The program gives mortgage lenders financial incentives to perform loan modifications to qualified homeowners. According to court papers, OneWest failed to itemize the new loans, resulting in about $58.3 million in fraudulent payments. The lawsuit seeks triple damages under the False Claims Act, which allows individuals to sue contractors that allegedly defrauded the government. A OneWest spokesman called the claims “groundless” and added that regular audits failed to detect any irregularities. Although the government passed out over $200 million in HAMP and Making Homes Affordable money, less than a third of all applicants are approved for a loan modification. Many times, qualified homeowners are denied for technical or even fabricated reasons: failure to timely submit documents, an income that’s one or two percent above or below program requirements, making a payment a day or two late, and so on. Servicers often claim documents were not submitted or not submitted on time, and when confronted with a fax confirmation or a return receipt from the post office they claim that they lost the documents or that they are now out of date. The banks often encourage these applicants to reapply, assuring the distressed homeowners that they have “prequalified” for another program. Too many times, the same thing happens. Eventually, the account acquires so much delinquency (because the lender refuses to accept partial payments) that the bank determines it is impossible for the homeowner to catch up. Foreclosure follows. Applying for a loan modification through Chapter 13 bankruptcy is a better deal. First, the Court and the Trustee oversee the bankruptcy process, not the lender. Documents are exchanged by counsel with a mediator. The Court’s mediation order requires compliance by the bank. While the bank is still not required to grant a modification, they are required to comply with the Court’s order, which includes requesting any necessary documentation well in advance of the mediation. If they show up to mediation and claim they cannot consider a modification because they do not have documentation they did not request in advance, that can be reported to the Court, and the Court can punish the bank, which can include everything from making them pay everyone for the wasted time to stripping their lien and treating their claim as unsecured. Second, even if the lender will not modify the loan, you can pay back the arrearage over five years, and while you do pay interest over that time, the lender cannot assess late fees or bogus charges as long as you make your payments to the Chapter 13 Trustee on time. Third, there is an automatic stay. You don’t have to prove anything in court, and you don’t have to rely on the bank’s promises to stop the sale date. For a free consultation with attorneys who can save your home, contact our office in Melbourne, Florida. This entry was posted in Chapter 13, Foreclosure and tagged Chapter 13 Bankruptcy, False Claims Act, HAMP, MHA, OneWest Bank on April 23, 2014 by Michael Faro. Can I Use My Credit Cards After Bankruptcy? Reestablishing their good credit score is a top priority for most debtors. One way to do just that is by paying your current obligations on time: your mortgage, your car note and any other secured debts that you may have. Responsible use of credit cards is another good way to raise your credit score. Be aware that many creditors cancel a consumer’s credit card upon a bankruptcy filing, even if there is little or no outstanding balance. Also be aware that if you make any large purchases on credit in the 90 days prior to filing, such purchases may be presumed fraudulent. The creditor still has to prove fraud in court; in other words, the creditor must prove that you intended to file bankruptcy when you bought that big-screen HD TV or charged your way to and from the Bahamas. Also, if there is a card you want to keep, consider reaching out to the creditor before you actually file. The moneylender may cancel the card anyway, but you have a much better chance of keeping the account open if you warn the creditor in advance. In a Chapter 7, there is legally nothing that prevents you from using your existing credit cards or even obtaining new ones. Practically speaking, that may not be possible or practical, for financial reasons. In a Chapter 13, you generally need the trustee’s permission to take on additional debt. That permission is usually forthcoming as long as you have a legitimate need for the item and the payments fit comfortably within your existing budget. Especially after a Chapter 7, you may be inundated with credit card solicitations after discharge. That’s because the creditors know that you generally cannot file a Chapter 7 for at least six years. To make sure you don’t wind up in bankruptcy court again, resist temptation and continue to use credit sparingly. 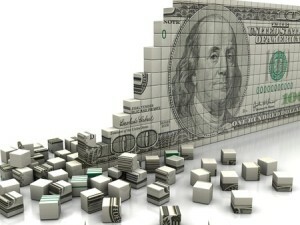 Financing consumables is a recipe for disaster. You can put a new transmission on a credit card and pay it off in a reasonable time according to a plan. You can also put your groceries on a credit card if you paid cash for the transmission and are therefore a little short this month, and pay the balance in full from your next paycheck. However, if you put your groceries, gas, utilities, or other consumables on your credit card regularly and pay less toward you bill each month than you charge, unless you increase your income, you will eventually build up a balance you cannot afford to service, and you will be right back in bankruptcy. This entry was posted in Bankruptcy, Debt and tagged Chapter 13 Bankruptcy, Chapter 7 Bankruptcy, Credit Cards on April 14, 2014 by Michael Faro. Recent scheduled meetings of the Bankruptcy Rules Committee were cancelled, apparently due to lack of interest. There had been two meetings scheduled in January 2014, one in Chicago and one in Washington, D.C. According to federal law, meetings may be cancelled if there is a lack of public interest, the Standing Committee sees a need for expedited rule change that bypasses public comment, or the proposed amendment is so technical in nature that it does not require a hearing. The Standing Committee also discusses proposed changes in civil rules, criminal rules and rules of evidence. No further bankruptcy meetings are scheduled at this time. In 2011, Florida had the second-most bankruptcy filings (94,815) in the country. California held the top spot with a staggering 240,151. Georgia, Illinois and Ohio rounded out the top five. A cursory glance at these statistics shows the diverse nature of bankruptcy filings. There is no single cause-and-effect relationship. There is no discernible pattern, according to geography or number of filings. People simply get into financial trouble, and bankruptcy is perhaps the best way out. The “average” filer is married, has a high-school education and earns less than $30,000 per year. The median filing age is 45; the number of filers younger than 25 is lower than ever. Repeat filers account for 16% of all bankruptcy cases overall. Chapter 13 Bankruptcy can put you back on the right path, by restructuring some debts and eliminating others. In ten years, your bankruptcy filing will fall off your credit report entirely. Contact us for a free consultation with attorneys who work hard for you. This entry was posted in Bankruptcy, Chapter 11, Chapter 13, Chapter 7 and tagged bankruptcy, bankruptcy filing statistics, Chapter 13, Chapter 13 Bankruptcy, Chapter 7, Chapter 7 Bankruptcy, Cocoa Beach, debt, Faro & Crowder, Florida on March 19, 2014 by Michael Faro.